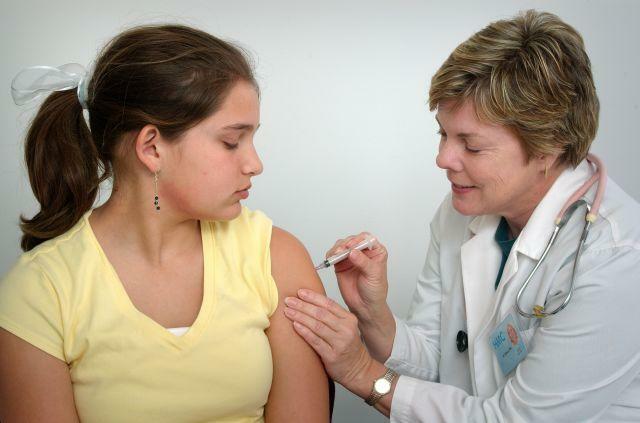 Flu vaccines can be injected via needle or through a nasal spray. A Washington University professor has a possible business solution to a perennial public health problem: flu vaccine shortages. Olin Business School professor Fuqiang Zhang and his research partners are proposing a combination of existing contract incentives. "In the past we have seen major flu vaccine shortages during the vaccine season even though the total supply was abundant. The major reason for this is because of late delivery," Zhang said. Because the influenza vaccine formula is decided by the Food and Drug Administration, vaccine manufacturers risk wasting resources if they start production before the FDA announces which flu strains the vaccine should target that year. "If the manufacturer starts production early, let’s say before the FDA reveals the composition, it can for sure deliver the vaccine on time," Zhang said. "On the other hand, if the manufacturer wants to wait for the FDA’s design then there is a probability that the production won’t be complete on time." According to Zhang, the possibility of late delivery causes pharmacies and other vaccine retailers to place smaller orders with manufacturers, further reducing a manufacturer’s incentive to start production early. "Managers in the flu vaccine industry more or less understand the problem," Zhang said and typically have offered two incentives to retailers in existing contracts. Some manufacturers will buy unused vaccines back from the retailer who purchased them. And other manufacturers will reduce the price of the vaccines if they’re late. 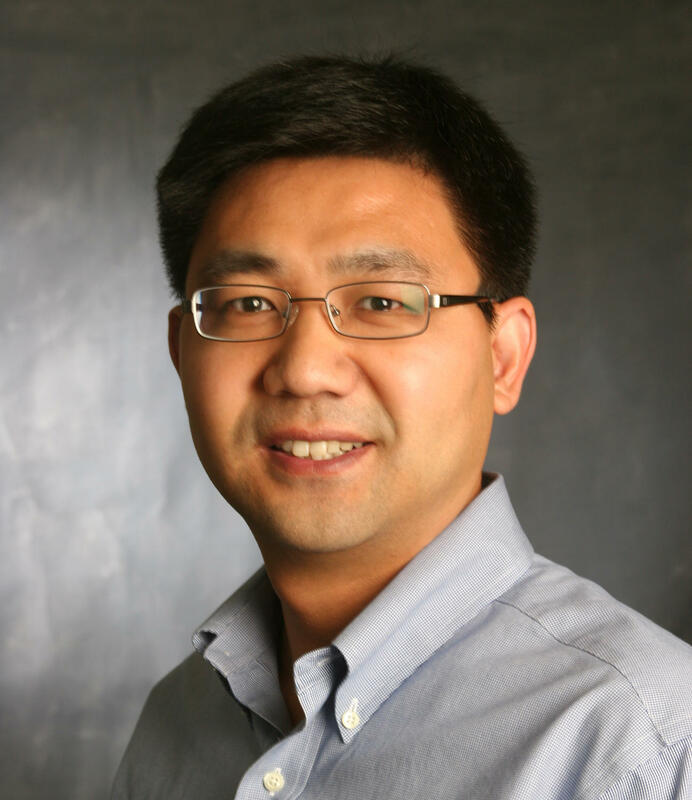 Fuqiang Zhang is a professor at Washington University's Olin School of Business. Zhang and his research partners, Tinglong Dai from Johns Hopkins University and Soo-Haeng Cho from Carnegie Mellon University, are proposing that manufacturers combine the two contract terms. While that might seem like it's riskier for manufacturers—they will likely need to start producing the vaccine before the FDA announces the final composition or reduce their profit by getting paid less by retailers—Zhang said the terms will actually benefit everyone along the supply chain, including manufacturers. "The good thing is that if you use these terms you can induce the retailers to order more," Zhang said. "It’s like you are making a bigger pie so everybody can get a bigger share from the pie." Zhang, Dai and Cho’s research has recently been accepted by the journal "Manufacturing and Service Operations Management." Zhang said it should be published in the coming months. In the meantime, Zhang said they are speaking with people in the flu vaccine industry and trying to encourage them to adopt the combined incentives. "We are trying to explain this research to them, and hopefully they will be convinced and try to revise their contracts so they can improve the supply chain performance, reduce the patient wait time and also hopefully save people’s lives," Zhang said. The Centers for Disease Control and Prevention links thousands of deaths to the flu each year. In recent years most people who have died have been over 65. The CDC says a flu vaccine is the best way to prevent getting the flu and recommends everyone six months or older receive the vaccine beginning in October. 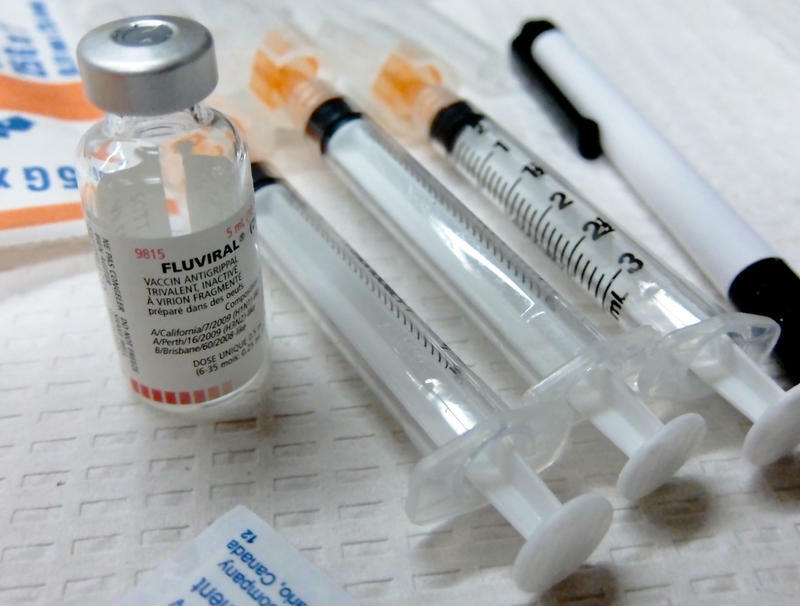 Shots aren’t for everyone, but the manufacturer of a nasal spray version of the vaccine experienced a technical issue early in the season that caused shipping delays. At Forest Park Peds in St. Louis, office manager Gail McCarthy says the clinic has been receiving just a percentage of the FluMist vaccines they’d originally ordered. 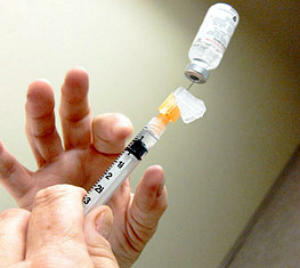 In the past few weeks, the St. Louis region has seen a dramatic increase in the number of flu cases. The dangerous H1N1 strand that appeared in 2009 is back, and nine people have already died of the illness at Barnes-Jewish Hospital. 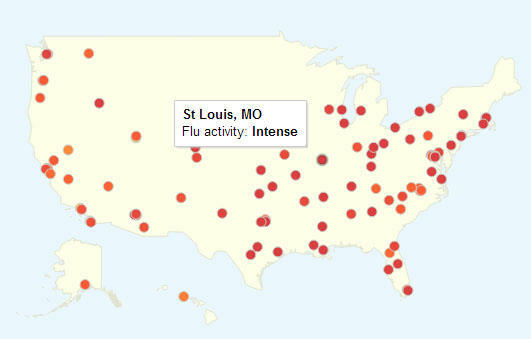 It’s winter again in St. Louis ― and that means the start of flu season. Dr. Faisal Khan with the St. Louis County Department of Health says he’s seen a sharp spike in the number of reported flu cases in the past couple of weeks. He says that quick uptick is normal for this time of year, and it’s too soon to tell whether the current pattern will continue. Updated 3:21 p.m. with additional city data. As our Julie Bierach reported yesterday, the flu this year is early, strong - and a second wave is expected. But where? To use a phrase which may resonate with some of you - "let's go to the map!"